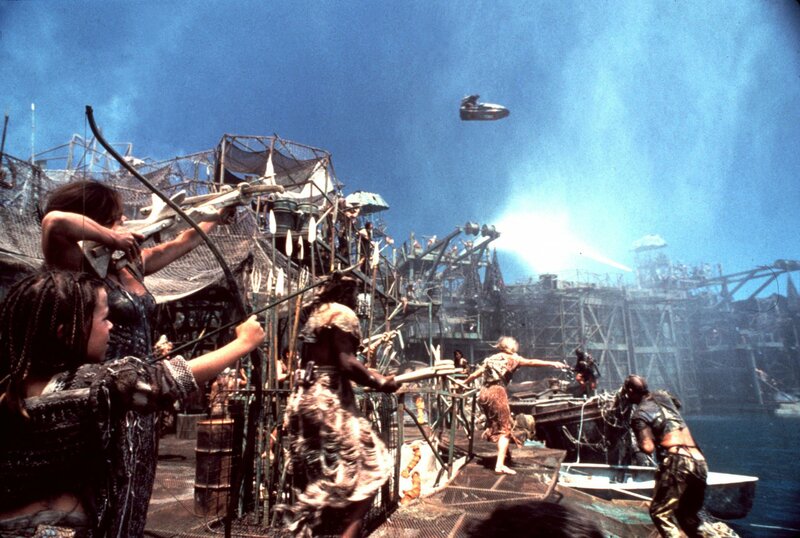 The making of 1995’s Waterworld had seen its huge floating set sink into the Pacific ocean and two camera men killed for a film that was a monumental financial flop. Except none of that is true but was myth put about by the tabloid press regarding a production which at the time was the most expensive film ever made at a cost of $175m. Perhaps the press just had it in for Kevin Costner who had had a long run of hit films starting with Brian De Palma’s excellent The Untouchables. This was followed by No Way Out, Field of Dreams, and culminated with Oscar glory in his directorial debut Dances with Wolves and huge box office success with Robin Hood Prince of Thieves. But Costner was also going through an acrimonious and very public divorce and the knives were being sharpened by the press against him. 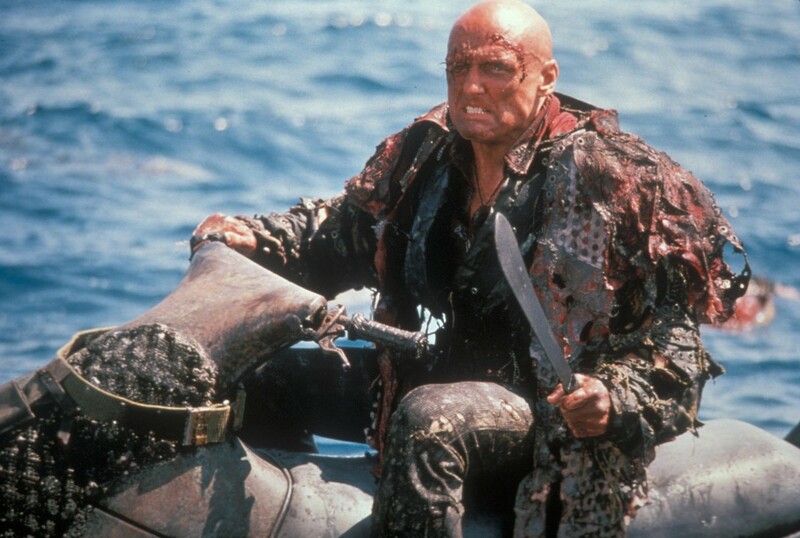 Though the budget for Waterworld was huge its screenwriter, Peter Radar, had originally envisioned this as a low budget film for him to direct as a sort of Mad Max on water. But it was clear to producer Charles Gordon this was not going to be a cheap production and the start of the problematic shoot would start with getting Kevin Reynolds back to direct Costner after the pair fell out during the Robin Hood shoot. But after knocking their heads together, or more precisely locking them both in a hotel room telling them they were not leaving until they made up, the film began production . Waterworld was a post apocalyptic story about the Mariner, a mutant trader with gills sailing the seas of a world submerged underwater where humans survive on ramshackle floating cities hoping to avoid a group of pirates called ‘smokers’ led by a one eyed Dennis Hopper searching for a girl with a map to the mythical ‘Dryland’ tattooed on her back. Filmmakers are only too aware that shooting on water is notoriously difficult with ‘Jaws’ being the benchmark for troublesome shoots at sea and Reynolds and Radar had both spoken to Spielberg for advice about Waterworld and both were told in no uncertain terms not to do it. Instead they chose to ignore him and carried on building the entire floating sea city as well as an enormous catamaran that Costner’s Mariner would be sailing about on the high seas. The catamaran was enormous and had to be built by a specialist team and flown to Hawaii where the film would be shot rather than Australia where the weather was unfavourable. However the pieces were so big needing an extremely large plane to transport them that could not land on the Hawaii runway which had to be extended to do so and was all funded by production. In turn the catamaran had to sail into the confines of the water city which therefore also had to be huge to accommodate it. So huge in fact that it used a million tonnes of steel to build employing 300 welders to put it together. At the time Hawaii was suffering a down turn in employment especially in its docks and the film and the work it bought the island kept the industry….erm…..afloat. That said the floating city is a brilliant piece of set design and engineering which the production understandably made much of in the marketing. However it was only really in the first act whereas the third act was to have an almost scale reproduction of the notorious oil tanker Exxon Valdez. The Valdez or ‘the Deez’ as the film calls it had, in 1989, catastrophically struck a reef due to crew ineptitude spilling almost 11 million gallons of oil directly into the sea. At the time it was the biggest oil spill ever (though the Deepwater Horizon disaster would take that unenviable record in 2010) causing untold environmental damage. Yet ironically this was one set that wasn’t at sea but was actually built in the studios car park surrounded by green screen. 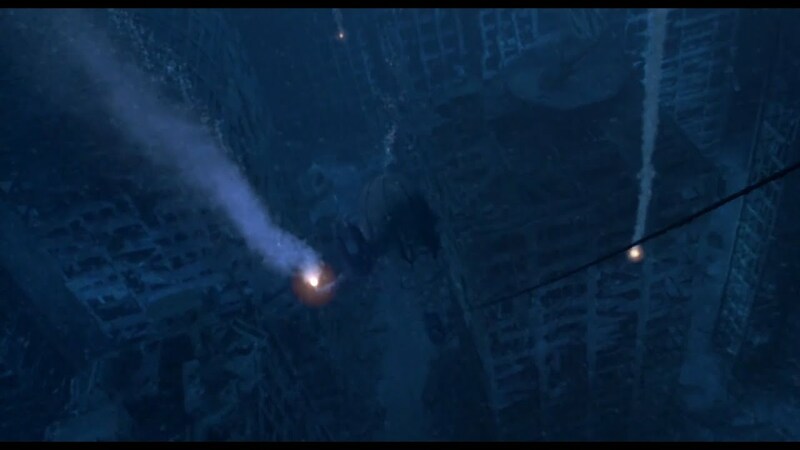 It’s worth remembering that this was two years before James Cameron’s Titanic and CGI was still evolving a way to represent water and it’s a credit to the film that the effects guys did a brilliant and convincing job. 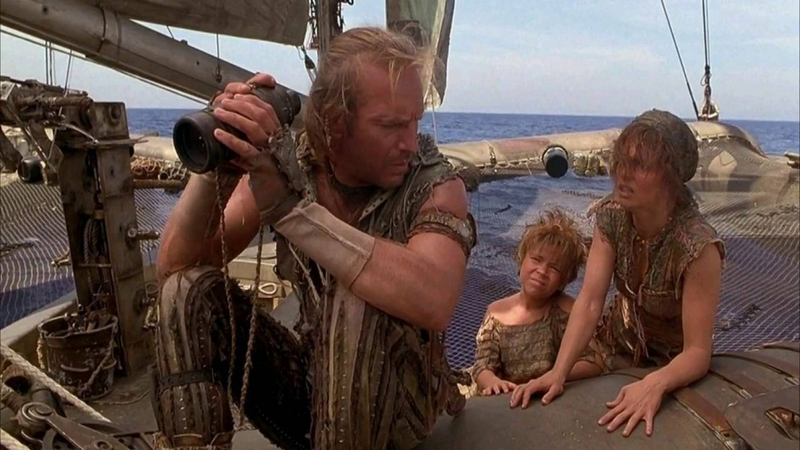 Despite its logistical problems Waterworld came in on budget but its problem as far as the studio were concerned was that for a summer blockbuster Kevin Reynolds had made a very dark film coming in at a huge 178 minutes and the disc here has his cut. It’s an interesting version of the film with a decent ‘Planet of the Apes’ type surprise ending but the studio were right to say it was overlong. Reynolds wasn’t having any of it an citing the usual ‘creative differences’ promptly left the project and it was Costner who stepped in cutting the film down to a more manageable and pacey 135 minutes lightening the tone in the process. 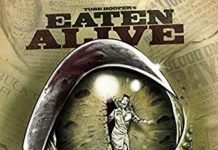 Released on 28th July 1995 the film performed well and went into profit yet it never did manage to shake the rumours of a production beleaguered with problems and bloated expense. The disc has three cuts of the film : theatrical, TV & Ulysses cut and audiences were right to ignore the ludicrous stories that had been conjured up by a press desperate for Costner to fall and the film even ended up earning an Oscar nomination though admittedly that was for Best Sound. Perhaps it was because Costner had faced down a brutal press that he felt after this he was invincible because two years later he made another apocalyptic epic, ‘The Postman’ a catastrophic disaster which really did sink his career. 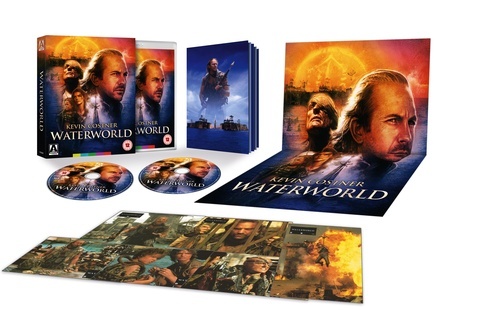 The Waterworld disc includes a very good feature length documentary about the making of the film though unfortunately it doesn’t include Costner’s take on the film only Reynolds who speaks rather too openly and has since only directed five films in 24 years. 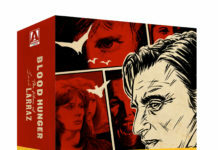 There’s also an informative 60 page limited edition book about the film too. 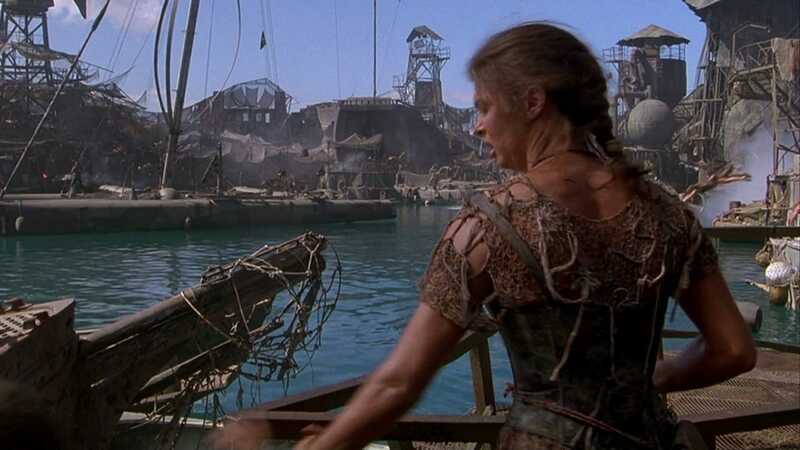 Whatever negative stories you’ve heard about Waterworld are best ignored because it’s a decent film worthy of being called a blockbuster and its environmental theme is now even more relevant in a world where scientists have given the planet 12 years before it’s too late which, knowing what politicians with their own self interest are like, means that rebuilding that floating city again is imminent . 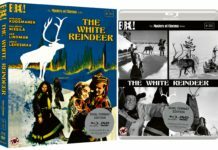 Distributed by Arrow Films who once again have taken a back catalogue film and given it some love and is a worthy addition to their retro films library and for those who remember it the first time round it’s a film worth a revisit. Previous articleWill Ferrell goes Downhill…….